Summer is finally here!!! 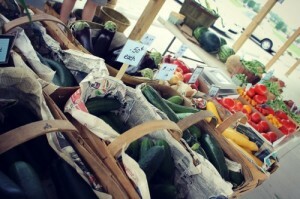 Tis the season for cookouts, picnics, pool parties and fun in the sun! Lucky for us we live in an area that is full of fun stuff to do all summer long, and many of these activities and events are cheap or free! We’ve put together a huge list of June events for you and your family to enjoy…have a great summer! Looking for a the perfect Summer Camp for your child? Check out our 2016 Summer Camp Post! Bowling at Axis Alley: If you want to take the kids bowling this summer Axis Alley has some awesome deals for you! Read this post for all the details. Family Ice Cream Social June 2, 5:30pm-7:30pm Mayerson JCC – 8485 Ridge Road, Cincinnati OH 45236 Admission is FREE; Food available for purchase Get ready for Shavuot* at the J with a Family Ice Cream Social! Children can enjoy fun outdoor games, a bounce house, giant slide, and petting zoo. Pizza dinner from the J and kosher ice cream from Miss Missy’s Ice Cream Truck are available for purchase. Florence Freedom Princess Night ~ Friday June 3rd. Visit the Florence Freedom website for all the details! 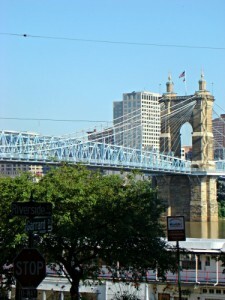 Cincinnati Museum Center ~ FREE Friday on June 3rd from 4-8 pm. Teen Maker Lock-in Friday, June 3, 6:30-8:30 p.m. The Public Library of Cincinnati and Hamilton County St. Bernard Branch Library FREE Teens will get an exclusive chance to use MakerSpace equipment during four special after-hours events. To register for the Teen Maker Lock-ins or to find out more about other #ReadMakeCreate events, stop by any Library location or check the Library’s program calendar. Summer Reading Club Kickoff at all three branches of the Kenton County Library. There’s going to be so much fun stuff happening at all three libraries to celebrate summer reading! Visit the FB Event Page for all the details. Beach Bash Craft Beer Festival June 4, 2016 | 2pm-9pm The Beach Waterpark is hosting its first ever craft beer festival on June 4th from 2 to 9pm! With a live band, food, over 15 different breweries and up to 80 different beers it is sure to be a great time! Games, soda tastings, face painter and a bouncy house will also be available for kids! 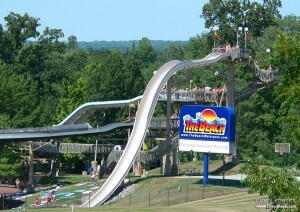 You can get your tickets at thebeachwaterpark.com! Discounted pre-sale tickets are also available! BugFest at the Cincinnati Museum Center ~ a day of activities and programming that will not only educate you about insects but leave you fascinated with these amazing creatures. Celebrate the 13th annual BugFest on Saturday, June 4 at Cincinnati Museum Center. Join us Saturday, June 4 from 10 a.m. to 3 p.m. For more information visit www.cincymuseum.org/events/bugfest. Fun Family Fitness Hour June 5, 3:15pm-4:15pm Mayerson JCC – 8485 Ridge Road, Cincinnati OH 45236 FREE Join fitness instructor Adi Nulson as you and your family work your way through fun, age-appropriate fitness stations. This hour-long class will incorporate exercises for all ages. Show up ready to sweat! Mother’s Day at The Beach Waterpark June 5th, 10 am to 8 pm The Beach Waterpark Free Are you ready for a Mother’s Day that will make memories to last a lifetime? Come join us on June 5th at The Beach Waterpark! All Mom’s get in free on Sunday, June 5th with a paid admission at Admission Window Only. We’ll see you awesome moms on the 5th! Reality 4 Diabetes Fundraiser at The Beach Waterpark! June 5th from 2pm to 4pm The Beach Waterpark 2590 Water Park Dr, Mason, OH 45040 General Admission Get ready to join us at The Beach Waterpark for the Reality 4 Diabetes Fundraiser! From 2pm to 4pm on June 5th you can come and meet the “Survivor Cast Members”! We’ll see you at the Beach. Teen Maker Lock-in Friday, June 10, 6:30-8:30 p.m. The Public Library of Cincinnati and Hamilton County Main Library, 800 Vine St., Cincinnati, OH 45202 FREE Teens will get an exclusive chance to use MakerSpace equipment during four special after-hours events. To register for the Teen Maker Lock-ins or to find out more about other #ReadMakeCreate events, stop by any Library location or check the Library’s program calendar. Second Saturday Street Fair June 11 Waynesville, Ohio Over 40 vendors with handmade and/or locally grown items gather every second Saturday of June, July, August and September with food trucks and a family friendly atmosphere in the quaint village of Waynesville, Ohio with over 60 shops and restaurants. Teen Maker Lock-in Saturday, June 11, 6:30-8:30 p.m. The Public Library of Cincinnati and Hamilton County Westwood Branch Library, 3345 Epworth Ave., Cincinnati, Ohio 45211 FREE Teens will get an exclusive chance to use MakerSpace equipment during this special after-hour event. To register for the Teen Maker Lock-ins or to find out more about other #ReadMakeCreate events, stop by any Library location or check the Library’s program calendar. 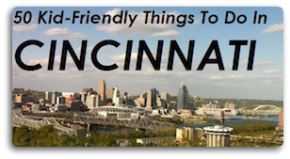 Ride Cincinnati June 12, 2016 6:30am-Noon Yeatman’s Cove 40 Ride Cincinnati is one of Ohio’s largest non-competitive cycling events, celebrating its 10th anniversary ride on Sunday, June 12, 2016. With distances ranging from 63 miles to 8 miles, there’s a distance for every ability. New this year is a three mile fun walk, designed for those who would like to participate but aren’t avid cyclists. This year’s event also features a new Pink Celebration Mile and everyone’s favorite after party celebration. All proceeds benefit breast cancer research at the Barrett Cancer Center at the University of Cincinnati. Registration and course details can be accessed at: www.ridecincinnati.org. Cincinnati Soap Box Derby June 18, 9 am to 5 pm 5081 Madison Rd FREE Gravity Racing event open to kids ages 7 thru 17. Free to watch. Free to participate if you register before June 10. Winners go to World Championships in Akron in July. Cars are available to use. DRIVERS WANTED! The Open on the Square presented by Skyline June 24, 2016 | 11:30am – 1:30pm Western & Southern Open http://www.wsopen.com Fountain Square FREE! Ever wanted to play tennis on Fountain Square? Bring your kids to this free event to enjoy tennis, live entertainment, Skyline, Graeter’s, and more!